The cottages can be found in various counties around the UK and Ireland, with Lanarkshire, Norfolk, Kirkcudbrightshire, Devon, Inverness-Shire, Cumbria, Gwynedd, Cornwall, Kent, Wigtownshire, Dorset, North Yorkshire, Ayrshire, Lincolnshire, Gloucestershire and Dumfriesshire all getting a mention. There is one particular holiday cottages to bring to your attention this week: "Greenswangs House". Greenswangs House in Dalton, near Lockerbie sleeps 8 people and has the benefit of its own private hot tub. 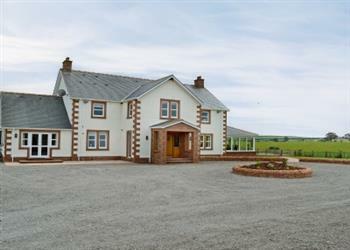 Greenswangs House is located equidistant between Dumfries and Lockerbie; and makes a good destination for friends and family who wish to holiday together.